*I’d like to begin this post by apologizing for my haggard manicure. I removed the polish promptly after taking these photos. You all deserve better. They should be impeccable for you. There. Now that’s out of the way. Moving on. 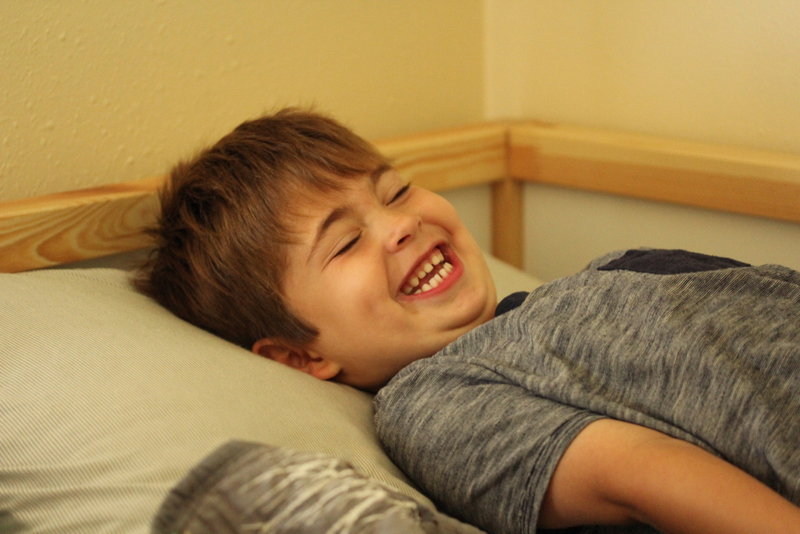 I was overjoyed on Friday for two reasons: The first being that Gabe took Caleb to his 8 week doctor visit during Sam and Eddie’s nap time, which meant I had two hours of uninterrupted me time. 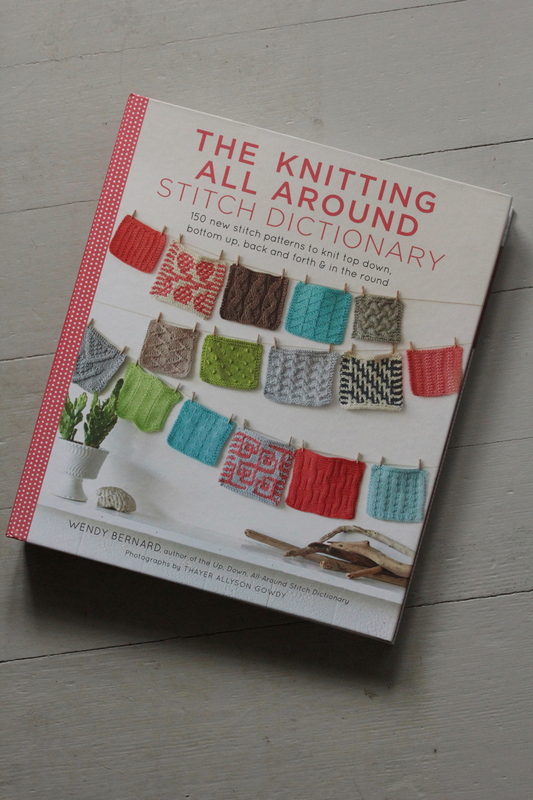 The second reason was that this little gem arrived in the mail five minutes before he left: The Knitting All Around Stitch Dictionary by Wendy Bernard of Knit and Tonic. I’ve been looking for a stitch dictionary for a while. I am interested in writing my own patterns someday and a directory of different stitches seemed like a good place to start. I didn’t even know what to look for at first. 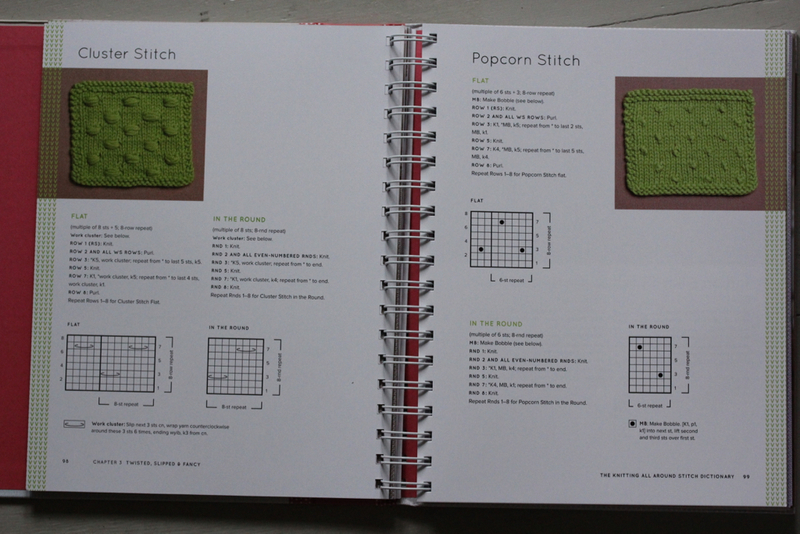 I started googling “different knitting stitches,” and “books about knitting stitches,” before realizing that I was in fact looking for a stitch dicitonary. I first discovered Wendy’s book on social media, although I confess I can’t remember exactly where… Facebook? Or Instagram perhaps? Anyway, the book had good reviews on Amazon, so I took the plunge and ordered a copy last week. The book is exactly what I was looking for. 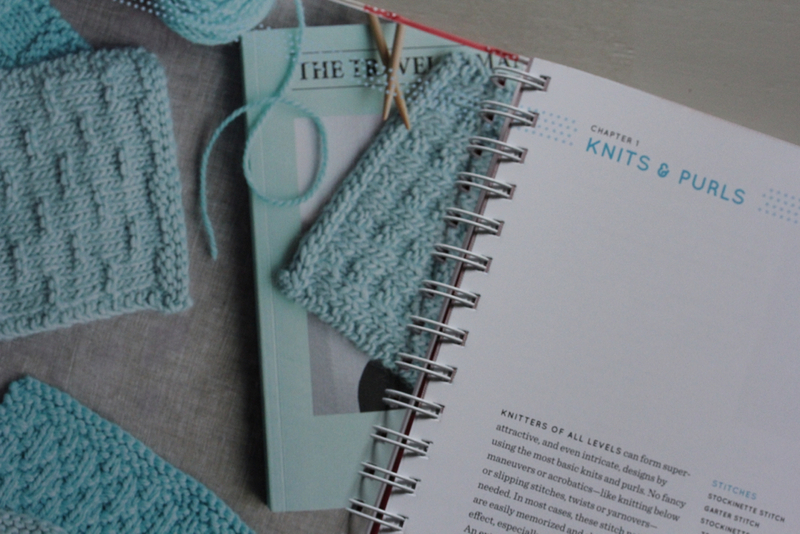 She writes about the importance of swatching (something I tend to skip, with disastrous results half the time), knitting to gauge, pattern reading and instructions on how to create your own designs. And the stitches! The photographs of all the different swatches are just beautiful. 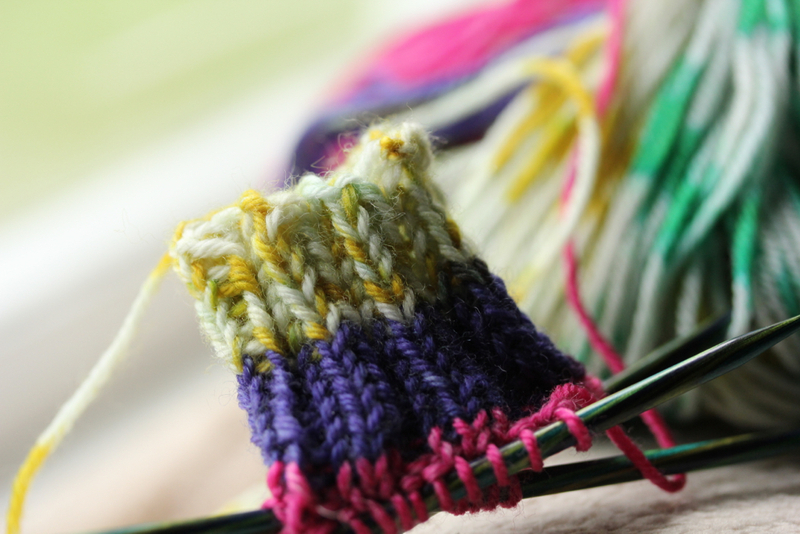 The stitches are divided into chapters: Knits and Purls, Ribs, Cables, Lace, etc.. After each section there is a pattern. 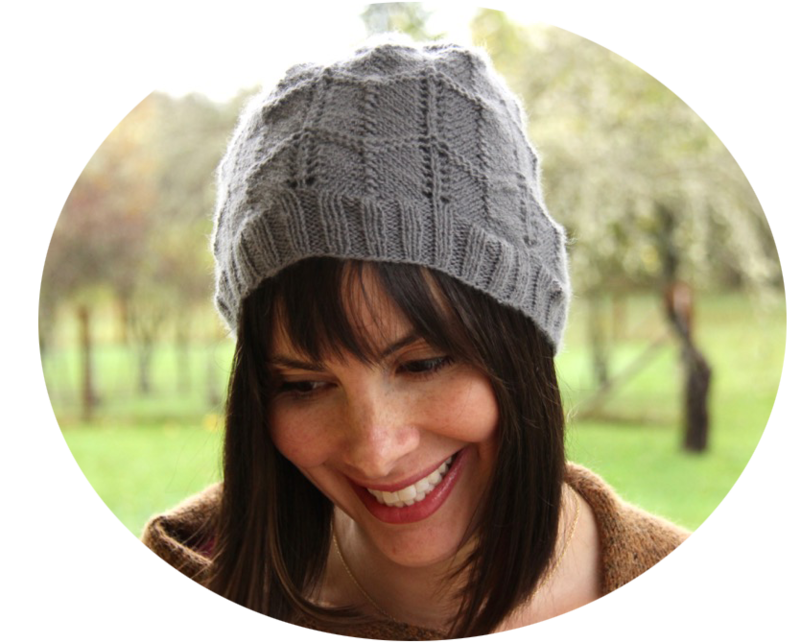 I am in love with The Fuji Rib Wrap (pictured) which I envision in a gorgeous black alpaca. She even gives you ideas as to what you can do with all your leftover swatches (Coasters! Who would have thought?). I think my first project might be some oversized pillow covers for my living room pillows. The covers I have now are dingy and need to be replaced. 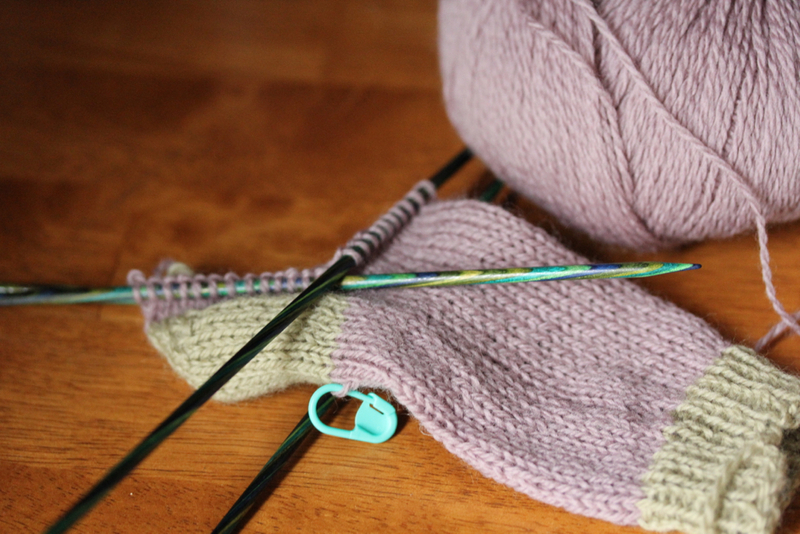 If I use bulky wool, it shouldn’t take too long. The hardest part will be choosing which stitches I want to knit! Do any of you have a stitch dictionary? If so, which one(s)? I’d love to hear from you. 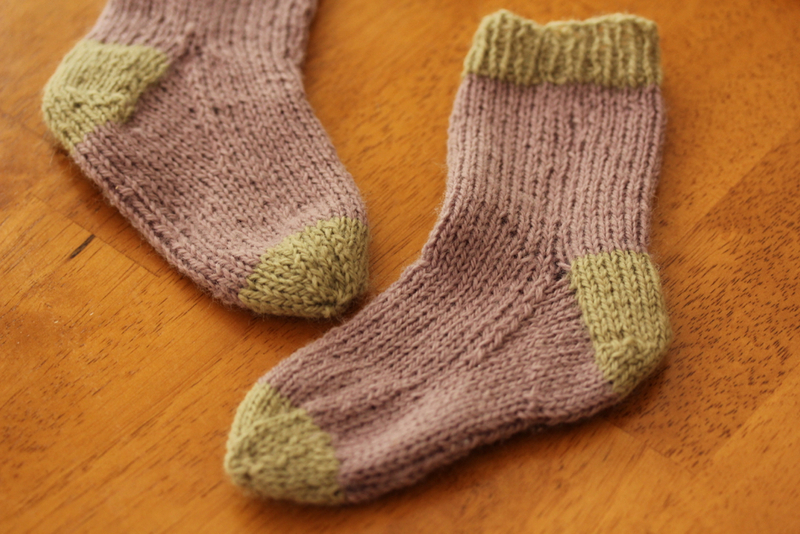 I finished a pair of socks for Eddie this week, and I plan on knitting her another pair with the leftover Cascade Heritage sock yarn that my mother gave me. It’s self striping and because the sock is being knit in a child’s size, the stripes are quite thick and bold, which I like. 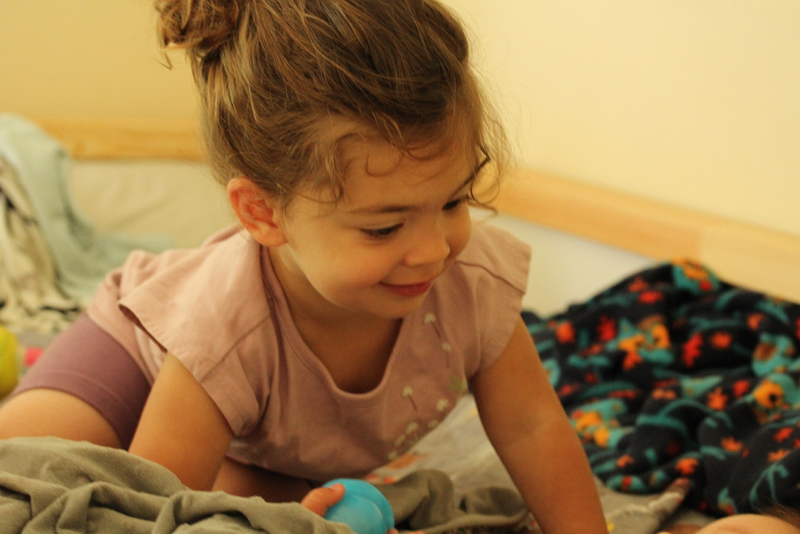 The yarn is very bouncy and soft, I think she will like them. 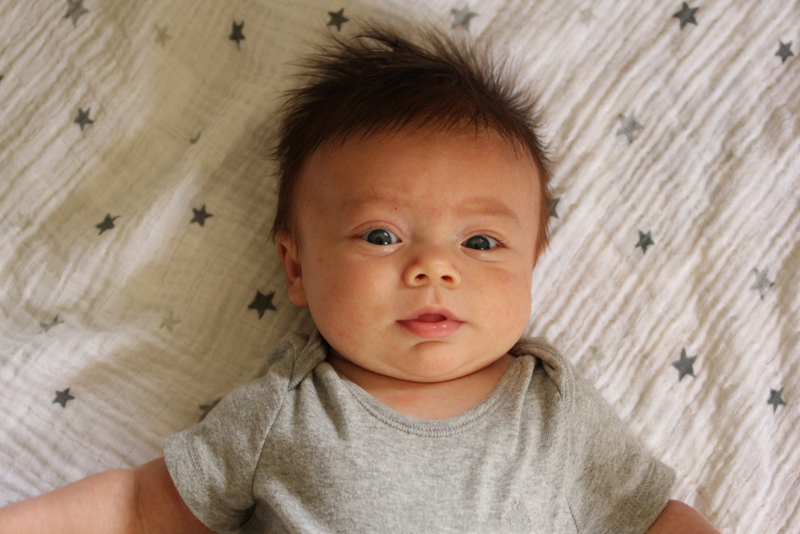 Caleb is growing so much, He turns 9 weeks tomorrow, and he’s already taken on the role of “Easiest Baby,” in our house. 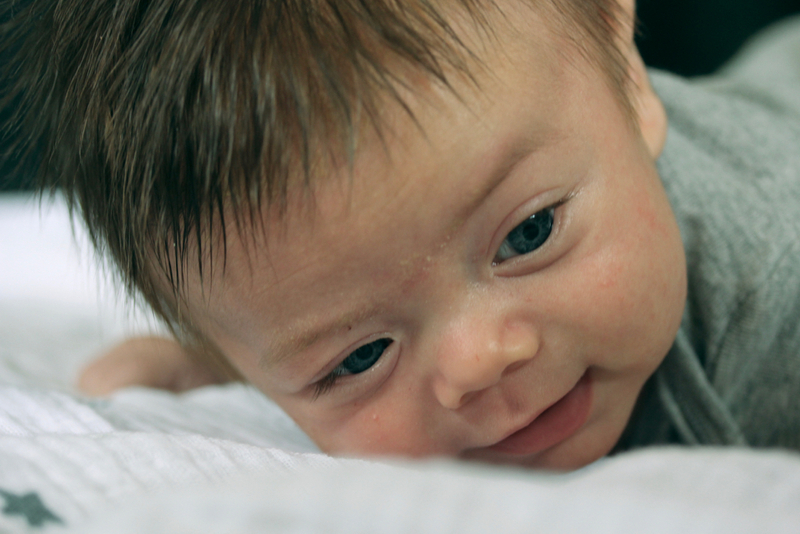 He only cries when he’s hungry or tired, his acid reflux has completely resolved itself, and he sleeps for a four-six hour block at night for three to four days out of the week. 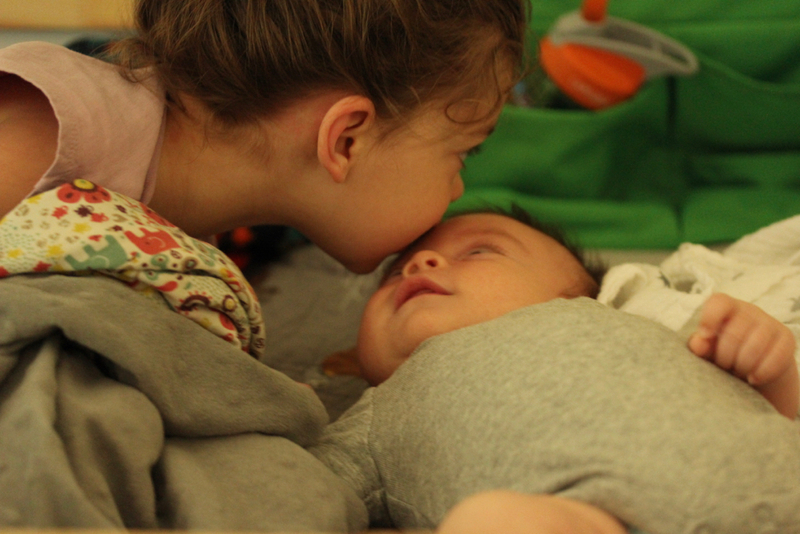 That might not sound that great to those who have babies who sleep eight hours a night by six weeks (I hate you) but that’s the best I’ve had with any of my kids. 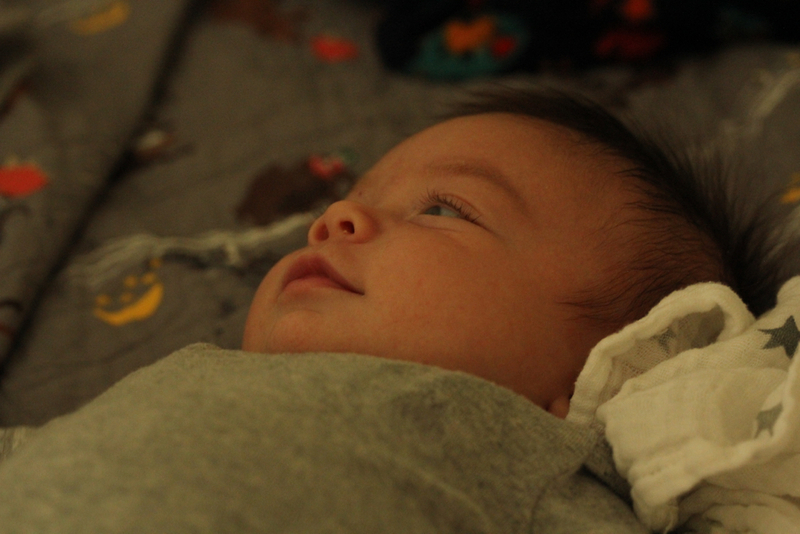 I don’t think Sam slept for more than an hour in a row until he was four months old and I had an emotional meltdown one morning and did Cry It Out with him the following evening. He cried for two hours but then started sleeping for 13 hours a night after that, only waking up once to feed. It was a miracle. Our summer here in Washington has been almost nonexistent this year. Our temperatures are barely reaching 70 degrees most days and it drizzles frequently. My garden looks terrible. I find time to weed it about once a week, which is good, but my summer fruits and vegetables are not doing well. Somehow the chickens made it through the fence into my garden and ate my strawberries, radishes, ALL THE HERBS, and my lettuce. My eggplants haven’t grown an inch since I planted them and my tomato plants are scraggily looking from lack of sun. It’s depressing to look at but I just don’t have the time to give it the extra care it needs to thrive in this cool environment. I have decided that this year it’s survival of the fittest: if a plant manages to grow and produce this year, great, but if it can’t do it on its own without my help, it’s just going to have to die. It is what it is. 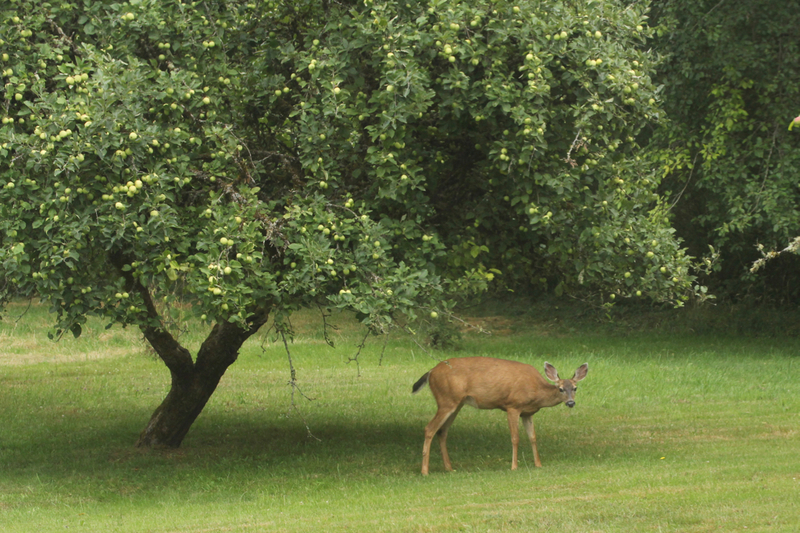 We have a mama deer who spends all her days with her twin fawns from last year and her twin fawns from this year eating our apples. I couldn’t photograph the fawns because they are so fast and a little more skittish than the mama but I love watching them. There is an apple tree right outside our bedroom window; I have the perfect view from my glider where I rock Caleb at night. I often sit there and rock him and watch all five deer pick apples off the tree and play chase. The two younger fawns nurse from their mother and she gives them just a minute or two of feeding before kicking them off her so she can eat. There’s a sense of camaraderie there, although she doesn’t know it. Two tired mothers, up in the middle of the night, feeding their babies. I think she likes nursing about as much as I do. Perhaps I should loan her my pump? This past week I took one step forward and about ten steps back with my Rosewater shawl. 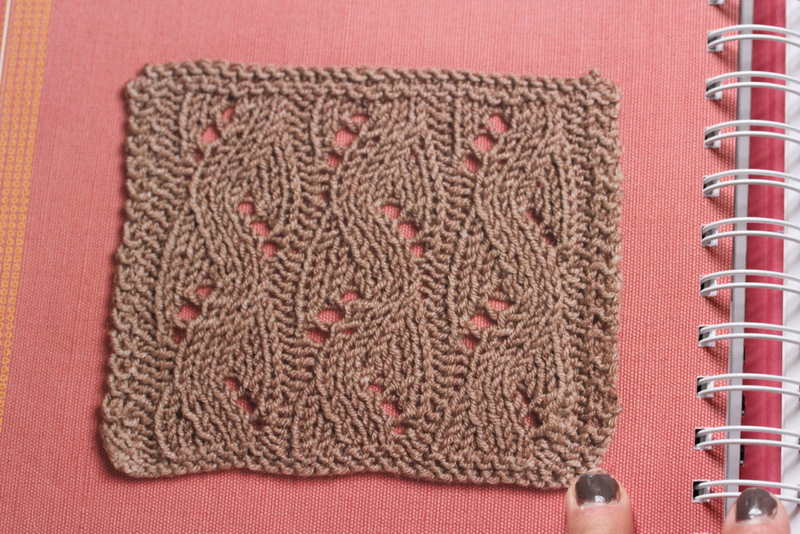 I knit 8 rows of the lace pattern only to discover I had made a mistake on row 6. I tried to rip it out stitch by stitch but as we all know, that doesn’t always work with lace. Needless to say, I ended up ripping out 8 rows and I became so frustrated that I shoved it in a drawer and cast on for a pair of socks for Eddie. I needed something simple. Mindless. It’s a basic sock pattern and I’m not crazy about the yarn (pills horribly and doesn’t retain its shape) but I have about six skeins of it, I’m trying to use it up and it seems like children’s socks are a good way to do so. 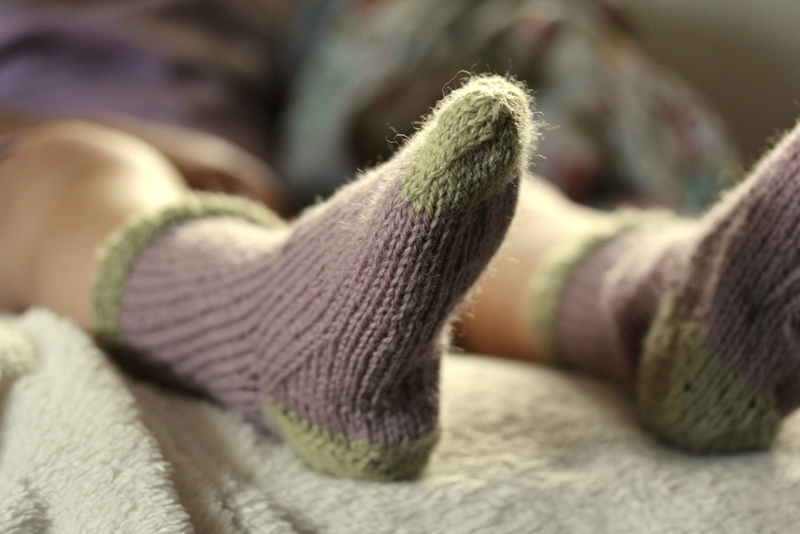 Plus, her feet are growing so quickly I figure she will outgrow the socks before the yarn starts to wear out. 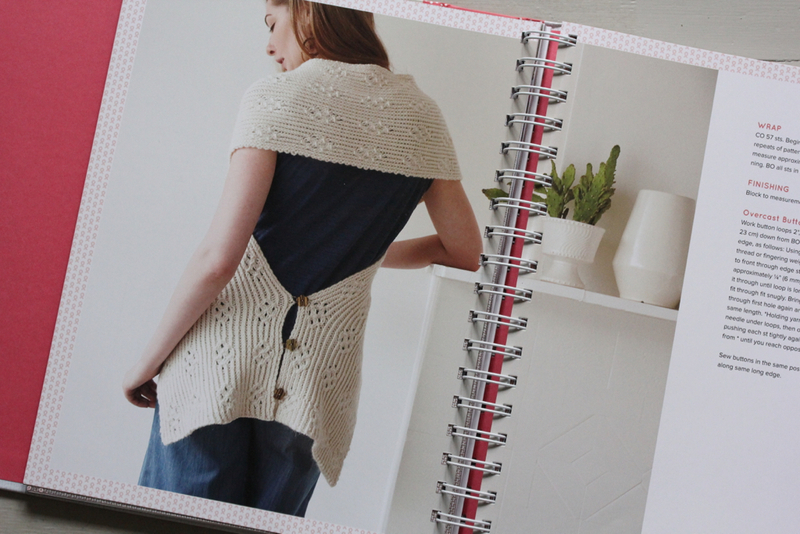 I splurged and purchased some lovely knitting notions from Never Not Knitting. 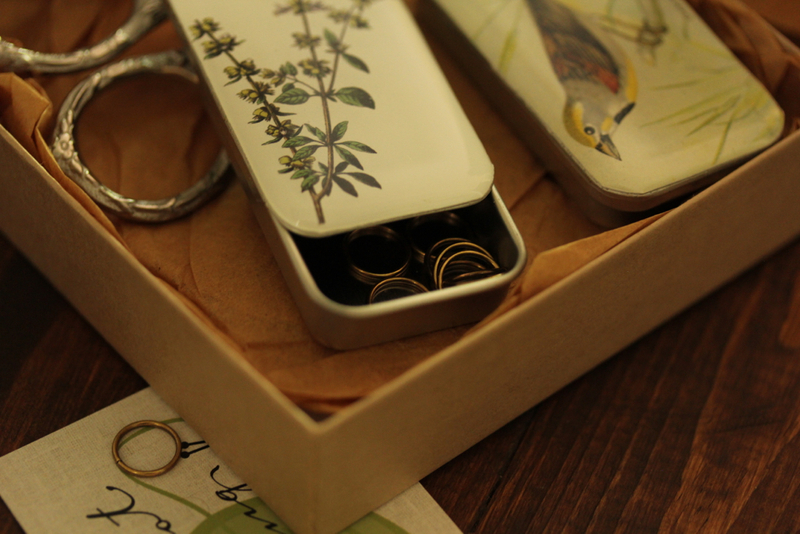 They have brass stitch markers in these beautiful pill boxes, so I purchased one set of regular stitch markers and one set of removable stitch markers. 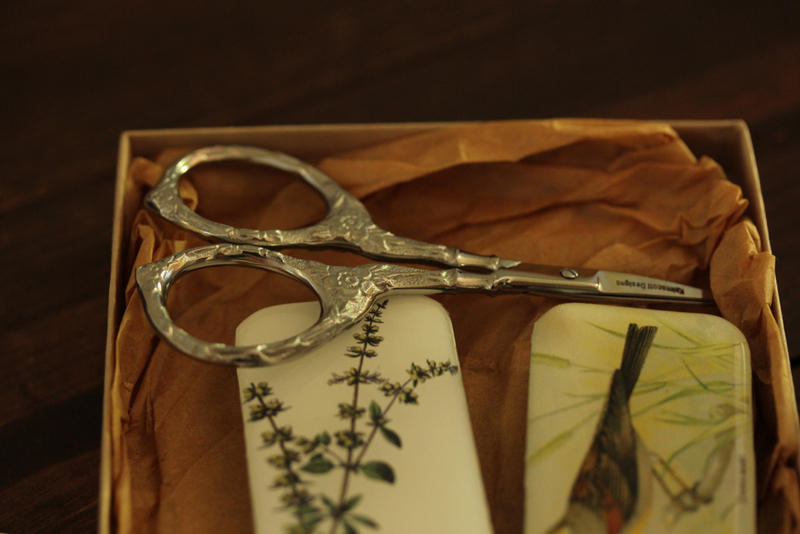 I also ordered their Tudor Rose scissors which are so sweet and possess a wonderfully vintage look, as well as a bottle of their wool soap. 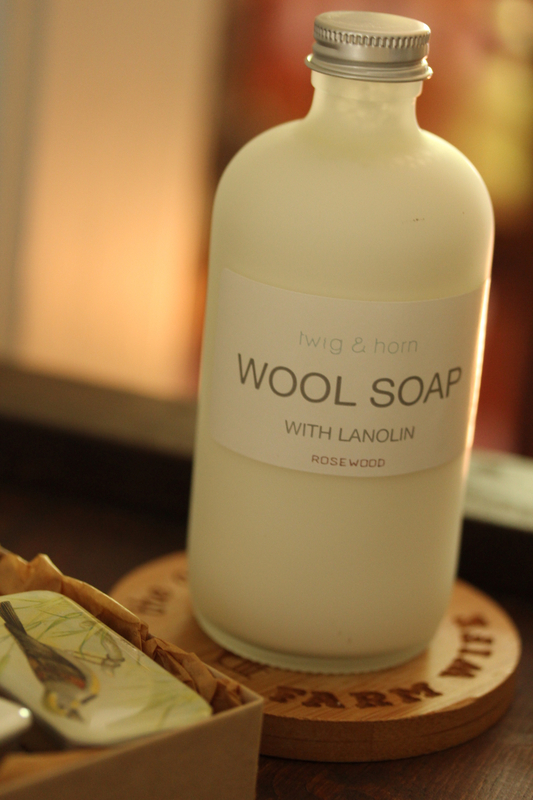 The soap is from a company called Twig & Horn, which I had never heard of. 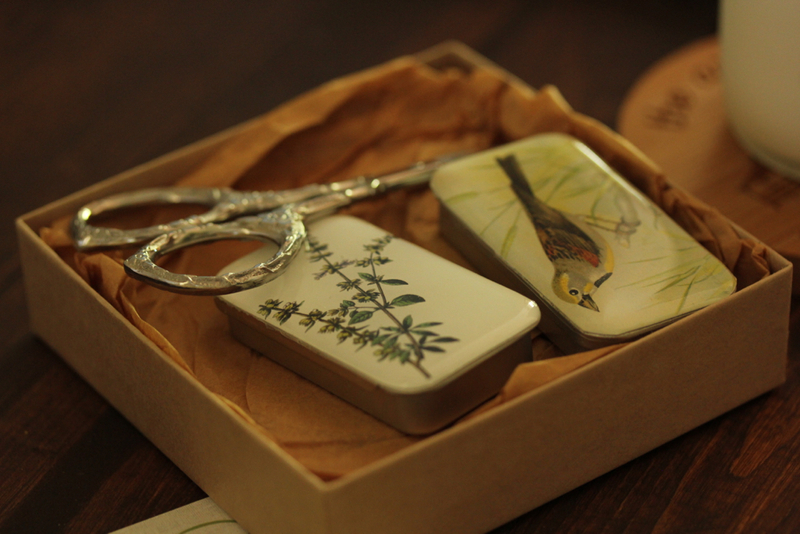 It’s sold in this beautiful glass container, which I can’t wait to repurpose after the soap is gone. I chose the rosewood scent, not because I knew what rosewood actually smelled like, but because I liked the sound of it. Turns out, I made the right decision. I can’t wait to wash my woolens in it! 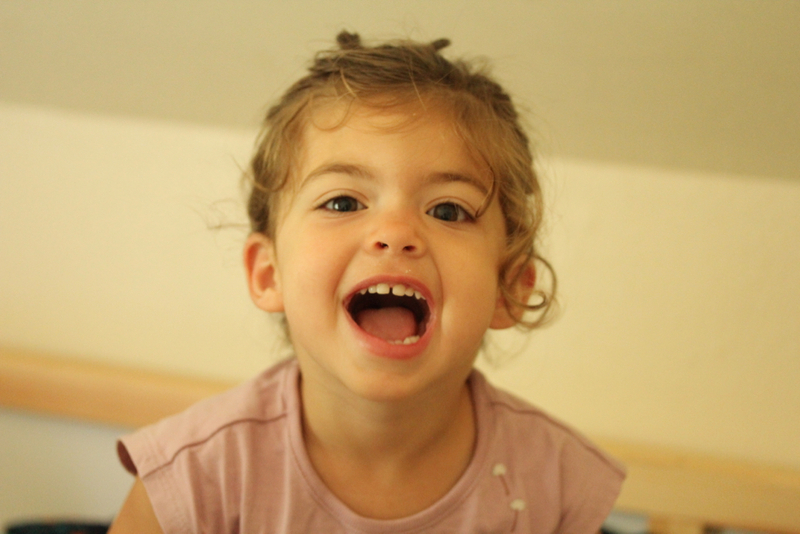 It’s quiet right now in the house, which is almost unheard of these days. Gabe took Sam to run an early morning errand and Caleb and Eddie are still abed. I could be getting a head start on my chores this morning, but instead I’m sitting in our office, drinking coffee, typing away, and listening to the sprinklers watering my garden. It’s peaceful. It’s calm.